Now that the tsunami that swept through newsrooms and electronic channels during and after the recent terrorist attack on the Indian air force station in Pathankot has blown over, it offers an opportunity to pause and reflect on the deeper ramifications of the entire event and, indeed, the national response to it. At one level, it would appear that this was in line with a series of such storms that continue to buffet the national scene at an alarmingly regular frequency. While debates on these can be considered part of an ongoing political turf war or a healthy democracy at play with an inquisitive media playing its rightful role, the Pathankot episode concerns not just national security, but how we, as a society, respond to a new and still evolving threat of terrorist violence unfolding across international frontiers. Such an event should be considered beyond the pale of partisan politics, media hype and ill-informed debate and discussion. This is all the more important since this is not going to be the last of such happenings and just as the armed forces will hold incisive debriefs and learn lessons, other institutions of our democracy would also be well advised to do so. One understands the fierce competition that prevails in newsrooms of the electronic media for viewership, so that some of the debates tend to be dramatic and even hysterical. While this may be of good entertainment or viewer-rating value it would be fair to accept a degree of seriousness when covering the national security domain. More so when operations are ongoing and minders of terrorists are monitoring the media to glean information and guide their foot soldiers in real time. Getting hold of veterans and others eager to face the camera and calling them "defence experts" when some were not even considered so by their peers when they were in service, is to be unfair to a subject as serious as national security. There has been much criticism on how terrorists could make an entry into a military airfield little appreciating that military airfields are spread over large areas and while all have security perimeter fencing/walls and so on, these can measure up to 20-30 kilometres in length and are by no means impenetrable in warlike situations unless secured by the army. That is why passive air defence and ground defence of airfields (as indeed many other pre-designated civil and military vital areas and vital points) during a state of war is the responsibility given to army formations who along with the IAF or other concerned authorities carry out routine exercises to ensure seamless and coordinated action in the event of a cautionary for hostilities being declared. During peace time a plethora of intelligence, police and paramilitary forces are expected to ensure that war-like threats are unable to rear their head. On the sidelines of the just concluded meeting of the World Economic Forum in Davos, Reserve Bank of India (RBI) governor Raghuram Rajan reiterated his commitment to restore the central value to Indian business: trust. In time, when we look back on his term at the helm, this will be his enduring legacy—something for which we will be grateful. In a Walk the Talk session with Shekhar Gupta, the evergreen newsman, Rajan built his case around three astute and insightful observations on the wrongs of some segments of corporate India or what is less generously referred to as the cost of crony capitalism. —If you flaunt your birthday bashes even while owing the system a lot of money, it does seem to suggest to the public that you don’t care. I think that is the wrong message to send. If you are in trouble, you should be cutting down your expenses. —The system has been geared to favouring those who have the ability to work the courts. The policy that you (large businessmen) follow is that during good times, you take the upside; but in bad times, you go to banks and ask how much of a haircut (loan write-offs) are you going to take? —It is not about being against big businesses or successful businessmen or businesswomen and neither is it a Robin Hood issue. 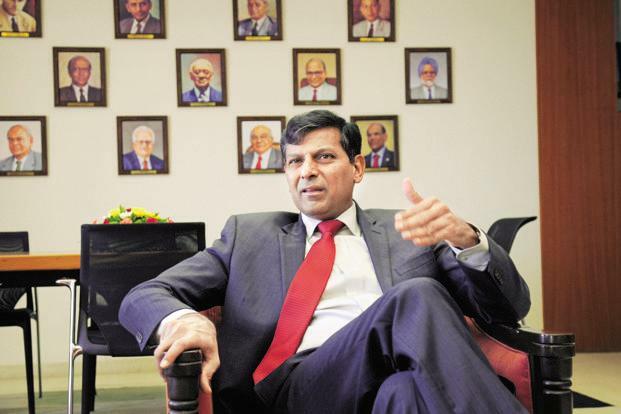 Rajan then went on to emphasize the objective of what he has pursued in his tenure since he took over as RBI governor in 2013. “This is an issue about the wrongdoers among the community who (have) raised the cost of borrowing for everybody,” he said. Typically, most of these statements, also made in the past, have been taken up in the context of a clean-up of all that is bad in the system. Appealing while it may be sound, it is a case of missing the wood for the trees. Thomas Piketty’s book Capital In The Twenty-First Century has attracted worldwide attention, not because he crusades against inequality – many of us do that– but because of its central thesis, based on his reading of the 19th and 20th centuries, that capital “mechanically produces arbitrary, unsustainable inequalities”, inevitably leading the world to misery, violence and wars and will continue to do so in this century. So far, Piketty’s critics have offered only technical objections to his number-crunching without contesting his apocalyptic political thesis, which is clearly wrong. I know this because over the past few years my teams conducted research in the field, exploring countries where misery, violence and wars are rampant in the 21st century. What we discovered was that most people actually want more. rather than less, capital and they want their capital to be real and not fictitious. Like many Western academics on a tight budget when faced with poor and nonsensical statistics outside Western nations, Piketty takes European indicators and extrapolates them on to such countries to draw global conclusions. This ignores the fact that 90 per cent of the world population lives in developing countries and former Soviet states, whose inhabitants produce and hold their capital in the informal sector, that is to say, outside of official statistics. This flaw has implications that go far beyond mere accounting: it turns out that the kinds of violence that erupted in places like Cairo’s Tahrir Square in 2011 occur where, according to our field studies, capital plays a decisive if hidden role that Eurocentric analysis cannot perceive. At the request of the Egyptian Treasury, my team, along with 120 mostly Egyptian researchers, not only studied official documents but also acquired local information on the ground, going door to door, to get data that allows government to test its conventional statistics for truth and completeness. We discovered that 47 per cent of so-called “labour’s” yearly income was “capital”: almost 22.5 million workers of Egypt earned not only a total of $20bn in salaries, but additionally $18bn through returns on their unrecorded capital. Our study showed that Egyptian “workers” owned an estimated $360bn in real estate, eight times more than all of the foreign direct investment in Egypt since Napoleon’s invasion. It is no wonder that Piketty, looking only at official statistics, missed all those facts. Piketty worries about wars in the future and suggests that they will come about in the form of a rebellion against the inequities of capital. Perhaps he hasn’t noticed that wars over capital have already begun, right under Europe’s nose, in the Middle East and North Africa. Had he not missed these events, he would have seen that these are not uprisings against capital, as his thesis claims, but for capital. The Indian economy was left in a shambles by the UPA government in May 2014. GDP growth had fallen to 4.5 per cent. Jobs were scarce. Industry was stagnant, manufacturing weak. The Narendra Modi government has swept some of these economic debris away. But much remains to be done. Economic reforms have come in baby steps. One minister justified this recently by saying incremental reforms when added up amount to big bang reforms. Not quite. In a recent column for BusinessWorld, I suggested how, for example, sweeping tax reform could reignite the economy, drive consumption and revive investment. Recent numbers on industrial growth and corporate earnings make for grim reading. The stock market and the rupee have plunged. The slowdown in China is having a domino effect. Not everyone is pessimistic though. A decade-long study by Harvard University's Centre for International Development, published last month, has concluded that India will be the world's fastest-growing economy over the next ten years. The Harvard researchers predict that Indian GDP will expand at an average of 6.98 per cent till 2025. This means nominal GDP will nearly double to around $4.50 trillion in 2025 at current exchange rates. By purchasing power parity, a norm the International Monetary Fund (IMF) and World Bank (WB) routinely use, Indian GDP is already $7.40 trillion. Employing Harvard's calculations, India's GDP (PPP) in 2025 will thus be around $15 trillion. This is what the Harvard study says: "India has the potential to be the fastest growing economy over the coming decade, according to new growth projections presented by researchers at the Center for International Development at Harvard University (CID). The researchers use their newly updated measure of economic complexity, which captures the diversity and sophistication of productive capabilities embedded in a country's exports, to generate the growth projections. The projections reflect the latest 2014 trade data available. The global landscape for economic growth shows greatest potential for rapid growth in South Asia and East Africa. Conversely, oil economies and other commodity-driven economies face the slowest growth outlook. India tops the global list for predicted annual growth rate for the coming decade at 7 per cent. This far outpaces projections for its northern neighbor and economic rival, China, which the researchers expect to face a continued slowdown to 4.3 percent growth annually to 2024." Indian policy makers tend to get overly influenced by western economists. In trying to address the very real issue of inequality in India , one hopes they listen to de Soto rather than Piketty. Thomas Piketty wants the Indian government to tax more. He particularly wants the rich and the corporate sector to be taxed more. He believes this is one way of addressing the sharp and growing inequalities in India. There can be endless debate – and inconclusive debate – on whether Piketty is right in his conclusions about inequality in India, with the same set of data being used to buttress or junk his line. But even those who disagree with Piketty only question his statements about the extent of, and trends, in inequality. But if we leave esoteric data and Gini co-efficients aside, there is a perception that refuses to go away that inequalities in India are pretty sharp and that something needs to be done about it.But is getting the tax man to do that the right way? Piketty has been tirelessly pointing out in interviews that India’s tax-gross domestic product (GDP) ration is at a pathetic 10.3 per cent. This is not Piketty’s lament alone; it is shared by many in India. Comparisons in this connection are always made with developed economies, where the tax-GDP ratio is upwards of 20 per cent. Barring China with a tax-GDP ratio of 10.4 per cent, according to World Bank data for 2012, others too did better – Brazil (14.4 percent), Russia (15.1 percent) and South Africa (25.5 percent). Niti Aayog member Bibek Debroy, in a television panel discussion with Piketty, questioned this 10.3 percent figure. This, he says, relates only to central government taxes; if one added state taxes, the ratio goes up to 17 percent. It’s not clear if the World Bank data covers central and provincial taxes for other countries (it has taken only the central taxes for India; many other countries too are federal in nature) but assuming it is just central taxes for all, then the next question that arises is, what is the taxpayer base of those countries? The Indian taxpayer base is pathetically low. Only 3.5 per cent of the population pays tax. The Tax Administration Reform Committee (TARC) headed by Parthasarathi Shome had flagged this issue, pointing out that only 17 crore people had a PAN card and of these, only 3.6 crore file returns. Any increase in rates, as Piketty suggests, will fall, first, on this minority and second, on a section of this minority which is not that wealthy. The TARC report notes that people in the lowest tax slab – up to Rs 5 lakh – account for 98 percent of the total taxpayers. The highest slab – over Rs 20 lakh – account for just 0.38 percent of taxpayers. No, this does not mean India does not have enough super-rich, but is probably a reflection of the fact that the wealth associated with them is not so much theirs as that of their companies. So on whom is a higher tax to be levied? If there is a really bad advertisement for capitalism and market economics, it must be Vijay Mallya. Businesses fail, and no one needs to lament the fact that Mallya made a hash of his investment in Kingfisher Airlines, especially after his ill-fated acquisition of Air Deccan. He got his strategy wrong, his finances wrong, and most other things wrong too. But what he got right was his belief that someone else will bear the cost of his failures. He is having a ball while banks are left holding his baby. This is exactly what is wrong with Indian capitalism. It has been captured by cronies. If capitalism rewards success, it must also penalise failure, but that is what our system manifestly fails to do. Consistently. Which is why making Mallya pay for his mistakes is more important for Indian capitalism than funding a million new start-ups. To put it simply, Wind-Up India is as important as Start-Up India. If the Dharmic order is maintained by the Brahma-Vishnu-Mahesh trio, roughly standing for creation, maintenance and destruction, capitalism cannot work if we only worship Brahma – the creation of companies. Proper running and creative destruction have to happen to help capitalism regenerate itself. But Mahesh is Awol, and Mallya is off the hook. It is unlikely that Rajan was railing against conspicuous consumption, though that is certainly a social issue in India. What he was indirectly referring to, though he did not name him, was to the fact that Mallya owes banks more than Rs 7,000 crore, and if he is genuinely unable to repay that money despite giving banks so many personal guarantees, he is basically cocking a snook at the system by celebrating his 60th birthday with great ostentation. Mallya has used every trick in the book and many outside it to evade his responsibility to repay banks. That there must have been pressure to help Mallya should be obvious from who got out: private sector ICICI Bank, which too made a mistake with Kingfisher, sold its entire debt of Rs 430 crore in 2012, when the writing on the wall was clear. Not so the public sector banks. Why didn’t they act to protect their interests? Why are they still stuck with Mallya’s bad debts in 2016? How one billion mobile phones can change India Such connectivity will level the playing field across jobs, ease rural-to-urban mobility, and catalyse gender equality. Last month, India became the second country in the world after China to cross one billion mobile phone connections. This makes the little device we hold in our hands and place by our bedside every night the most used technology gadget in history. Consider the numbers: there are 160 million television sets in India. And just 120 million radios. As prosperity seeps through the countryside, even more mobile phone growth is possible. In advanced economies like the United States, France, South Korea and Finland, there are more mobile phones than people. For example, South Korea with a population of 50 million has 56 million cell phones. While the number of mobile phones will eventually plateau in India, there's still room for growth in the next few years to around 1.40 billion mobile connections. (China currently has 1.27 billion mobile phone connections.) Driving this growth of course are the world's lowest handset and usage prices. New phones with basic features retail from Rs 1,500 ($22) upwards. Full feature smartphones start at around double that. Average monthly usage is often as low as Rs 200 for 2G voice services. Even high-quality 4G packages cost less than Rs 1,000 a month. The national launch of Reliance Jio's 4G service in March could drive prices down even further. India, however, remains a mobile-poor country in terms of internet speed connectivity. Call drops are frequent. Spectrum is in chronically short supply. Download speed is abysmal. Despite these shortcomings, the mobile phone is today India's leading "enabler". It allows farmers to get the latest weather forecasts in realtime to help plan crop seeding, fertiliser use and harvesting. It enables them to get the latest mandi prices so that middlemen don't skim off excessive profits. The direct benefit transfer (DBT) scheme, which sends subsidies to Jan Dhan Yojana bank accounts, bypassing intermediaries, is bedrocked on mobile phones. Once mobile payment banks and payment wallets enlarge their footprint, mobile phones will become part of a larger financial and social transformation. Most start-ups are moving to mobile-only apps. The growth of taxi aggregators like Uber and Ola, food delivery companies like Zomato and Faasos and hotel bookers like Oyo Rooms and Zo Rooms depend on how quickly mobile usage moves from voice (2G) to data (3G) to advanced applications including video streaming (4G). India's start-up ecosystem is meanwhile exploding. It is set to overtake Britain with the world's second largest number of annual start-ups behind the United States. As mobile phone usage surges, so will mobile apps across sectors. Despite the Saudis’ efforts, however, producers have proved resilient. Many frackers have eked out efficiencies. They hate the idea of plugging their wells only for the wildcatter on the next block to reap the reward when prices rebound. They will not pack up so long as prices cover day-to-day costs, in some cases as low as $15 a barrel (see article). Meanwhile oil stocks in the mostly rich-country OECD in October stood at 267 days’ net imports, almost 50% higher than five years earlier. They will continue to grow, especially if demand slows by more than expected in China and the rest of Asia. Forecasting the oil price is a mug’s game (as the newspaper that once speculated about $5 oil, we speak from experience), but few expect it to start rising before 2017. Today’s price could mark the bottom of the barrel. Some are predicting a trough of as low as $10. The lower the better, you might say. Look at how cheap oil has boosted importers, from Europe to South Asia. The euro area’s oil-import bill has fallen by 2% of GDP since mid-2014. India has become the world’s fastest-growing large economy. Yet the latest lurch down is also a source of anxiety. Collapsing revenues could bring political instability to fragile parts of the world, such as Venezuela and the Gulf, and fuel rivalries in the Middle East. Cheap oil has a green lining, as it drags down the global price of natural gas, which crowds out coal, a dirtier fuel. But in the long run, cheap fossil fuels reduce the incentive to act on climate change. Most worrying of all is the corrosive new economics of oil. Cheap oil also hurts demand in more important ways. When crude was over $100 a barrel it made sense to spend on exploration in out-of-the-way provinces, such as the Arctic, west Africa and deep below the saline rock off the coast of Brazil. As prices have tumbled, so has investment. Projects worth $380 billion have been put on hold. In America spending on fixed assets in the oil industry has fallen by half from its peak. The poison has spread: the purchasing managers’ index for December, of 48.2, registered an accelerating contraction across the whole of American manufacturing. In Brazil the harm to Petrobras, the national oil company, from the oil price has been exacerbated by a corruption scandal that has paralysed the highest echelons of government. In the first meeting of 2016 held on January 11, the Defence Acquisition Council (DAC) took some policy decisions that will eventually get incorporated, along with other policy and procedural changes, in the much-awaited Defence Procurement Procedure (DPP), now expected to be released in the next two months. The following picture emerges in this regard from what has been reported in the media. While the Experts’ Committee, set up by the Ministry of Defence (MoD) to review the existing procurement policy and procedure, had not recommended any change in the existing acquisition categories,1 the DAC has decided to introduce a new category of Indian Designed, Developed and Manufactured (IDDM) equipment. This will be the most preferred category, ahead of ‘Buy (Indian)’, which presently occupies the pride of place. The equipment procured under the new category will be required to have 40 per cent indigenous content if it is designed indigenously. If the design is not indigenous, it should have 60 per cent indigenous content. At present, the equipment procured under the ‘Buy (Indian)’ category is required to have a minimum of 30 per cent indigenous content. A note released by the MoD, however, says that this category requires a minimum of 40 per cent indigenous content. It is not clear whether this is a typographical error or the requirement even under the ‘Buy (Indian)’ category is being increased from the existing 30 per cent to 40 per cent. In either case, this will blur the distinction between the new category and the existing ‘Buy (Indian)’ category. The existing ‘Buy (Indian)’ route is adopted for procurement of equipment that can be sourced straightaway from Indian companies. Since the new ‘IDDM’ category is being introduced as the most preferred category of procurement, it would be fair to assume that it is meant to be different from the ‘Buy (Indian)’ category on the one hand and the ‘Make’ category on the other. Unless this difference is clearly brought out in the forthcoming DPP, the categorization of procurement proposals will become more challenging. The lack of clarity on this count would add a new dimension to the complexity of determining the extent of indigenous content in the equipment. It may be recalled that ‘Buy (Indian)’ category was made the most preferred category in 2013. Apparently, this has not led to the increased sourcing of defence equipment from Indian vendors, in spite of the modest requirement as regards indigenous content. With the requirement of a higher percentage of indigenous content, it is difficult to visualise a spurt in procurement under the new IDDM category. Presently, under the existing ‘Buy and Make (Indian)’ category, the indigenous content is required to be 50 per cent. This requirement is being extended to the ‘Buy and Make’ category as well. The recent atrocities at Charsadda are a painful reminder of Pakistan’s lack of seriousness in combating terrorism. The winter cold might have called for less of a melancholy in Charsadda, on the morning of Wednesday, January 20, had some young militants not used the cover of thick fog to scale the rear walls of Bacha Khan University and then kill 22 people,according to government reports. 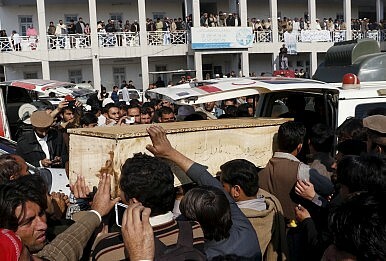 The attack was symbolic in many ways, especially given that it targeted a role model of Pashtun identity. Historically, Pashtun populations have been marginalized by the Pakistani state; recently, they have been a consistent target of the Taliban. At around 9:00 am on January 20, several students at Bacha Khan University (BKU) were fired upon by terrorists just as they prepared to commemorate the anniversary of a legendary secular Pashtun leader and activist, Khan Abdul Ghaffar Khan, widely known as Bacha Khan. A close friend and disciple of Gandhi, Khan was also known as the Frontier Gandhi in British India for his activism and advocacy for the equal rights of the Pashtun people in the frontiers of the raj. BKU was established few years ago by his followers in Charsadda, a small town that sits near the Durand line. It was to pursue his legacy of “peace and universal brotherhood” for young generation of Pashtuns, who in the post 9/11 world struggle to preserve their identity and history amid the confusion ethnically identical militant groups like the Taliban have created for people of the frontier. On January 20, Khan’s poems were to be read in commemoration of the 28th anniversary of his death. Instead there was bloodshed in the classrooms and the dorms, where some students were still asleep. Security officials say dozens were injured and the death toll may rise. The army, in a statement, said four terrorists were killed and the ordeal was over in six hours. It is not evident, however, that the perpetual ordeal of terror attacks in Pakistan will be over any time soon. The scenes and horror of last Wednesday’s attack in Charsadda are starkly similar to that of the Taliban’s unconscionable school attack in Peshawar in December 2014, when 132 children and a number of school staff were massacred. Targeting school children and educational institutions has been a consistent part of the Taliban’s strategy, with 30 such institutions having been targeted since 2011. 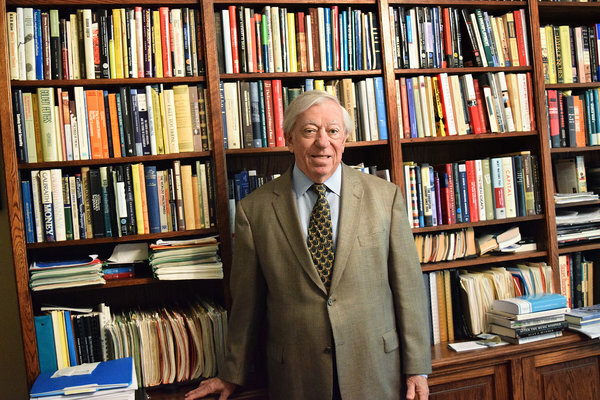 Robert J. Gordon in 2015. Is he right? My answer is a definite maybe. But whether or not you end up agreeing with Gordon’s thesis, this is a book well worth reading — a magisterial combination of deep technological history, vivid portraits of daily life over the past six generations and careful economic analysis. Non-economists may find some of the charts and tables heavy going, but Gordon never loses sight of the real people and real lives behind those charts. This book will challenge your views about the future; it will definitely transform how you see the past. Why Is Pakistan Interested in Brokering Peace Between Iran and Saudi Arabia? Pakistan needs a modus vivendi between Iran and Saudi Arabia to avoid a sectarian implosion at home. It’s been a particularly interesting week for Pakistani diplomacy. In a rare display, both Nawaz Sharif, the country’s prime minister, and General Raheel Sharif (no relation), the chief of army staff, jointly traveled to Saudi Arabia and Iran, in what was billed as an attempt by Islamabad to mediate between the quarreling Middle Eastern giants. Saudi Arabia’s execution of Nimr al-Nimr, a prominent Shia Sheikh, on January 2 led to massive protests against the Saudi embassy, which was ransacked by Iranian protesters. The incident led to the cessation of formal diplomatic ties between the two countries and intensified the underlying politico-sectarian divides in the Middle East. Pakistan’s role in the Saudi-Iran split isn’t entirely obvious. The country is a Sunni-majority state with the second-largest Shia population of any Muslim-majority state after Iran. Pakistan shares close historical and diplomatic ties with Saudi Arabia, but shares a border with Iran. For Islamabad, maintaining good ties with both Riyadh and Iran is a priority for entirely different reasons. Against this backdrop, the two Sharifs traveled this week, first to Riyadh and then to Tehran. In Saudi Arabia, where they arrived on Monday, the Pakistani leaders essentially continued the conversation that had been initiated by the Saudis days after the fallout from Nimr al-Nimr’s execution. Mohammed bin Salman, the Kingdom’s deputy crown prince and defense minister, met with Pakistani officials, receiving assurances from Pakistan that it would stand with Riyadh. Gen. Sharif had assured Salman that Pakistan would stand with Saudi Arabia. In Riyadh, Nawaz Sharif exchanged views with the Saudi leadership about regional issues, including the diplomatic crisis with Iran. Sharif urged restraint and encouraged a peaceful solution to the dispute between the two states. The largest country in East Africa with a substantial population of the Indian diaspora - about sixty to seventy thousand, has never evoked much interest in India, especially in the public discourse. Even the fact that India’s trade with Tanzania at around USD 4 billion in 2014, much of it exports of Indian goods and services, is at par or even greater than that of our trade with Canada, does not usually ring a bell even among trade and commercial interests in the country, except in the odd office in Udyog Bhawan. Yet, a recent news report titled “Rawandaization of Tanzania”, highlighting the unusual measures taken by Dr. John Magufuli, the new President of Tanzania, has been circulating in the social media. What has evoked such social media interest in Tanzania and its new President, Dr. John Magufuli? Magufuli was sworn into office as the fifth President of the United Republic of Tanzania on 5th November 2015 at Dar es Salaam, soon after the Tanzanian delegation to IAFS-III had returned from Delhi. Magufuli was the official candidate of the ruling CCM party (founded by the iconic Julius Nyerere), which has been continuously in power since 1961, the longest ruling party in Africa. He won the presidential contest held on 25th October by a much reduced margin of 58 per cent against the combined opposition candidate’s much improved showing of about 40 per cent of the votes polled. In effect, Magufuli represents a party on the decline in the Tanzanian people’s perception, but one that could still prop up a winning candidate due to the candidate’s clean image, the party’s superior organizational structure, particularly in Tanzania’s vast rural and semi-rural areas, and the not so clean image of Edward Lowasa, the challenger who had crossed over to the opposition after failing to win the CCM’s nomination. Much like the Indian Prime Minister, President Magufuli started his Presidency on 5th November on a note different from that of any of his predecessors and in defiance of age old practices. While PM Modi revealed his master stroke in getting SAARC and neighbourhood leaders to attend his swearing in ceremony in May 2014, Magufuli swept away some of the pomp and pageantry surrounding the Tanzanian Presidency thereby effecting savings of precious resources to be used for more urgent public tasks. A few days after his swearing in, Magufuli showed up at the principal referral hospital in Dar es Salaam and found patients lying on the floor, in the absence of adequate beds, and key equipment dysfunctional. The director of the hospital was promptly removed and money sent to the hospital to get beds and equipment repaired. A visit to a department office revealed large scale absenteeism, which he promptly rectified. By these actions, the Tanzanian President signalled to the people that it was not going to be business as usual, particularly in the delivery of public services, a woe that afflicts the country seriously. Allow U.S. and NATO airpower to target the Islamic State and the Taliban(currently, they can only fight those groups if directly attacked). The narrow rules of engagement constraining foreign forces were intended to push Afghan armed forces to defend their territory themselves. While a worthy goal, O’Hanlon says, these rules often prevent us from attacking ISIS (though the targeting strategy towards the group may be changing) as well as the Taliban. They also impose unrealistically high demands on Afghan forces and make too fine a distinction between an array of aligned extremist groups operating in the country. YANGON, Myanmar — When in November Sai Win Myat Oo, a candidate from the Shan Nationalities League for Democracy, ran for a seat in the Parliament of Shan State, in southern Myanmar, he was confident in his chances of being re-elected. The people of his constituency had consistently voted for the local Shan party in the past. Yet he lost to a candidate from the National League for Democracy (N.L.D. ), the majority-Bamar party led by Daw Aung San Suu Kyi, which swept the general election last year, winning some 80 percent of contested seats in the national Parliament. Apparently, it was the ethnic Wa people of Shan State, many of whom resettled there from northern parts of country in the late 1990s, who cast the decisive votes. Rumor has it they had received instructions to vote for the N.L.D. from the United Wa State Army — at 30,000-strong, the most powerful rebel group in the country — which is headquartered on Myanmar’s border with China. Chinese sources I spoke to in academe and the intelligence services denied that Beijing had anything to do with those directives. But one senior Shan politician and three Myanmar military insiders said they thought it was Chinese influence that had swung the Wa votes in Shan State. Why would Beijing, which has long backed Myanmar’s military regime and refused to engage with pro-democracy parties, now support the N.L.D.? One reason is that in recent years it saw the political tide turning in Myanmar. Another is that it has come to think of Ms. Aung San Suu Kyi as a consummate pragmatist, and at a time when the Myanmar army, known as the Tatmadaw, was making political and military overtures to the United States and its allies. But Beijing’s rapprochement with the N.L.D. now threatens the legitimacy of Myanmar’s generals on issues they have long considered to be within their exclusive purview: foreign policy, border affairs, national security, federalism. So while improved relations between China and the incoming N.L.D. government could help quiet unrest in border areas, they could also upset the uneasy balance of power among Myanmar’s elites in Naypyidaw. China’s relations with Myanmar have ebbed under President Thein Sein, down to lows not seen since the Cultural Revolution in the late 1960s, when anti-Chinese riots broke out and Beijing began backing Communist rebels in Myanmar. Ties had then slowly improved because both Deng Xiaoping and the military-led socialist government in Myanmar maintained a neutral foreign policy. A closer look at the contents of China’s first comprehensive anti-terrorism law. The government has become less insistent about not needing foreign troops in Iraq. This is because of the increasingly aggressive and autonomous behavior of the Iran-backed Shia militias that are assisting the army in the fight against ISIL (Islamic State in Iraq and the Levant). The Shia militias are also taking control of territory in urban and rural areas, displacing the police and local government. Now the Iraq government sees the American troops as saviors. At the end of 2015 there were several thousand American troops already in Iraq and more (most of them Special Forces) on the way. The government has apparently made it clear to Iran (which is very hostile to U.S. forces in Iraq) that some American troops are essential. The presence of American troops also makes it less likely that Iran will attempt anything too ambitious (like invading or backing a takeover by Shia militias) and everyone knows that. Most Iraqis are more concerned with Iranian meddling than anything the Americans might do. At the same time Iraqis are wary of the other Gulf Arabs, especially Saudi Arabia. For example the Saudi ambassador to Iraq recently commented that the Iran backed Shia militias in Iraq should stand aside and let the Iraqi Army deal with ISIL. That comment was widely condemned by Iraqi Shia clerics and politicians. In Iraq over a thousand Western troops, many of them special operations (Special Forces, SEALs and other commandos), are providing training and advisory assistance to Iraqi forces. To get the most out of this, especially when special ops forces are involved, the effort is directed towards the best local troops. Experience has shown the Kurds and Iraqi Arab special operations troops benefit the most from this training and do so more quickly than less trained and experienced troops. This comes with some risks, mainly because this training is often done in a combat zone and the advisory aspect is often done in combat. In both these cases there are many instances where the trainers themselves come under fire. While the trainers are not there to fight they are armed and allowed to defend themselves when necessary. Unofficially the trainers are allowed to get involved in situations where their trainees are in great danger and the intervention of the trainers would be useful, and much appreciated by the trainees. This is allowed unofficially because there is risk of trainers being killed or wounded. This causes political problems back home where politicians have pledged to provide combat trainers but no combat troops. While some trainers have been killed or wounded during front line training there is always the risk of there are too many casualties among the foreign trainers politicians and media back home would make an issue out of it. Same with Iraqi politicians and media, who are insistent that there be no foreign combat troops in Iraq. Armed trainers are tolerated, but not if they regularly engage in combat. Meanwhile American officials talk of driving ISIL out of Mosul and Raqqa soon, as in by mid-2016, while some senior Iraqi officials openly doubt that Mosul will be liberated this year at all. A lot of Iraqis still doubt the capabilities of their armed forces and are more afraid of the Iran-backed Shia militias that openly call for a religious dictatorship in Iraq. So while the Kurds report that they have surrounded Mosul from the north and are ready for the final battle the Iraqi government forces south of the city are pointing out that they have to keep an eye on ISIL as well as their “allies” the Iran-backed Shia militias. The measures the government has taken to prevent demonstrations are extreme, with new ones added all the time. Even under normal circumstances, Egyptians are already living under the most severe restrictions on their civil and political rights in decades. In December 2014, the government decreed that all demonstrations would require permits, which are rarely granted. Leaders of youth groups that tried to defy the decree by holding illegal protests have been sentenced to lengthy prison terms. Media freedom is curbed in the name of national security, and any statement that contradicts an official one is considered an act of sedition. The one group still been able to vent frustrations is that of workers focused narrowly on labor issues. More than 1,100 strikes and protests, none of them authorized by the Egyptian Federation of Trade Unions, took place last year. It was apparently too large a number for Sisi to dare to suppress them by force. As the recent terrorist attacks in Paris and San Bernardino show, Islamic State has achieved a global reach. No longer satisfied with terrorising large swaths of the Middle East, it is inspiring, recruiting, training and supplying terrorists to carry out murderous acts around the world. Given this new international agenda, analysts are struggling to assess the source of the group in an attempt to improve their understanding of how to stop it. In terms of its source, most point to Saudi Arabia; in terms of stopping it, most point to the United States. However, a closer look at Isis reveals that it is engaged in an entrenched theological war with the Saudi religious establishment to determine who justifiably espouses the purest tenets of Sunni Islam. As the custodian of the two holy mosques in Mecca and Medina and the host of the world’s Muslims for the pilgrimage, Saudi Arabia leads one and a half billion Muslims in fighting Isis. The kingdom’s leadership of the recently announced Muslim coalition to fight terrorism in all its forms confirms that Saudi Arabia is not only not the source of Isis but it is the terrorist group’s central opponent and the only nation that can fully and legitimately defeat it once and for all. More than 34 countries have joined the coalition. Three factors clarify Saudi Arabia’s intrinsic and total war on Isis. First, many people claim that Saudi Arabia is the source of Isis because both practise a version of Islam called Salafism (erroneously known in the west as Wahhabism). Salafism is rooted in the word salaf, or “forefathers”, and refers to the way the prophet Muhammad’s followers in the religion’s first three generations practised Islam. And while it is true that the kingdom espouses Salafism, Isis’s claim that it is Salafi has no theological basis, because the group is in fact a continuation of a crude sect known as the Kharijites, or the ones who “defected” from the Muslim community (ummah) during the reign of the fourth caliph Ali (whom the Kharijites assassinated). The Kharijites, like Isis, believe that whoever disagreed with them should be murdered as infidels (takfir), rationalised mass killings against civilians including women and children (isti’rad), and practised an extreme form of inquisition to test their opponents’ faith (imtihan). Isis’s adherence to the Kharijite ideology is not the only reason it is not a true Salafi movement; it has also committed an act of disobedience that effectively nullifies its Salafi pretenses. In original Islamic scriptures and practice, the highest authority is the “guardian” of the ummah, (wali al amr). All religious, political and military powers are concentrated under this authority, which Saudi Arabia’s system best exemplifies in the modern world. In other words, King Salman’s legitimacy to rule is contingent on him being first and foremost the wali al amr of the people, and in return the people show their acceptance of his rule by proclaiming him as their ruler. This proclamation (bay’ah) is a contract between the ruler and the ruled in which the first swears to promote Islam and the welfare of the second, and the second swears to obey (ta’ah) the tenets of Islam and follow the first’s leadership. Should the first deviate from Islam, the second is obliged to replace him. The joint bay’ah of the ummah to the ruler is fundamental to Salafism and anyone that breaks the bay’ah – as Isis has done – can never again be considered a true Salafi. Given the importance of the wali al amr to Sunni Islam, Isis and Saudi Arabia are locked in a theological struggle from which only one can emerge victorious. The decades since the first major oil embargo in 1973 have shown all too clearly that no one can predict oil and gas prices and petroleum export revenues. This is particularly true when key exporters like Iraq and Libya are at war, production is partly driven by the tensions between Iran and its Arab neighbors, new sources of production are coming on line, and the world seems be headed for a China-driven collapse of demand. There are some important new estimates, however, that indicate that Iran is not going to see any kind of windfall from the lifting of sanctions as a result of the Joint Comprehensive Plan of Action (JCPOA) nuclear agreement and the lifting of sanctions. The United States Energy Information Agency (EIA), which is part of the U.S. Department of Energy, has just released two important studies covering different aspects of the potential impact of Iran’s future production and exports. One is called Oman is the largest non-OPEC oil producer in the Middle East (01/21/2016). It provides an updated comparison of the current production by key Middle Eastern states that is shown in Figure One. It is all too clear from Figure One that Iran’s current production levels are limited, and that Saudi Arabia and the other Arab states are the strategic prize in terms of petroleum production, markets, and investment opportunities. Other EIA studies and forecast have also made it clear that Saudi Arabia intended to keep production levels high, maximize its own revenues at a time of low oil prices, and will probably be joined in doing this by other Arab oil exporters. Note: Other non-OPEC Middle East includes Bahrain, Syria, Israel, and Jordan. The high levels of recent Saudi production levels are shown in Figure Two, and Saudi Arabia has made it clear it will not cut them to try to raise prices – especially at a time when it is deeply concerned about Iran’s other actions. The other EIA study is focused on Iran alone. It is entitledIran’s petroleum production expected to increase as sanctions are lifted, and provides both an updated analysis of Iran’s current production and a forecast of the range of near-term increases that Iran may be able to make now sanctions are lifted. These data are summarized in Figure Three. Sanctions relief will lead to an increase in Iran's oil production and exports, which had been subject to an EU embargo among other sanctions. Iran's crude oil production has been relatively flat over the past three years while sanctions were in place, averaging 2.8 million barrels per day (b/d) in 2015, representing 9% of total crude oil production from the Organization of the Petroleum Exporting Countries (OPEC). In EIA's January Short-Term Energy Outlook (STEO), which assumed implementation day to occur this quarter, Iran's annual average crude oil production is forecast at 3.1 million b/d in 2016 (10% of projected total OPEC production), and almost 3.6 million b/d in 2017. Consistent with these forecasts for average annual production, Iran's crude oil production reaches 3.3 million b/d at the end of 2016 and 3.7 million b/d at the end of 2017. EIA estimates a subjective uncertainty range of +/- 250,000 b/d surrounding these year-end projections, with actual outcomes dependent on Iran's ability to mitigate production decline rates, deal with technical challenges, and bring new oil fields into production. Most of Iran's forecast production growth comes from Iran's preexisting crude oil production capacity that is currently shut in, while the remainder comes from newly developed fields. Iran has a number of new oil fields that Iranian and Chinese companies have been developing over the past several years, which have the potential to add 100,000 b/d to 200,000 b/d of crude oil production capacity by 2017. The STEO forecast also accounts for production declines at Iran's mature oil fields. … Beyond crude oil, Iran's condensate and natural gas plant liquids (NGPL) production is currently almost 750,000 b/d, of which 75% is condensate and the remainder NGPL. Iran's non-crude liquids production has grown over the past few years. The main buyers of Iran's non-crude liquids have been in countries in Asia, mainly China, and the United Arab Emirates (UAE). Iran's non-crude liquids production is expected to grow by 150,000 b/d by the end of 2016 and by an additional 100,000 b/d by the end of 2017, as more project phases at the South Pars natural gas field come online. More than 80% of Iran's condensate production comes from the South Pars field located offshore in the Persian Gulf, which is Iran's largest nonassociated gas field. Lack of foreign investment and insufficient financing, stemming from international sanctions, have slowed the development of South Pars. However, some progress has been made in recent years, and sanctions relief is expected to quicken the pace of development of its remaining phases over the next decade. With Iran's petroleum and other liquid fuels consumption expected to remain flat over the next two years, crude oil and other liquid fuels from the production increase is likely to be sold in export markets. The pace that Iran will ramp up its exports now that sanctions are lifted is uncertain. Iran has a considerable amount of oil stored offshore in tankers (between 30 and 50 million barrels), most of which is condensate, and crude oil stored at onshore facilities. Initial post-sanction increases in Iranian exports will most likely come from storage, while meaningful production increases will occur after some of the storage is cleared. The EIA is very careful to note the levels of uncertainty involved, but its forecasts would only mean an increase of some 500,000 barrels of crude oil day by the end of 2016, rising to 900,000 barrels a day at the end of 2017. The total would rise to 600,000 a day in 2016 if natural gas liquids (NGL) and condensate were included and 1,150,000 barrels in 2017. This would have been a major increase in revenues at a time when oil was a nominal $110 a barrel, particularly if Iran could export most of the increase by limiting domestic demand. Iranian oil and NGL/condensates never had the quality to have captured an average of $110 a barrel, but if one does assume that average price, 600,000 barrels a day equals 219 million barrels a year, and $24.5 billion a year. A total of 1.15 million barrels a day equals 420 million barrels a year, or $46.2 billion at $110 a barrel. Fast forwarding to today’s prices, the revenues are radically different. If oil sells for a relatively high current estimate of $60 a barrel, the annual revenues from 600,000 more barrels a day at the end of 2016 are only $13.1 billion, and the revenues from 1.15 million more barrels at the end of 2017 are $16.8 billion. Once again, Iran’s actual earning would be shaped by the quality of its exports, and the real-world totals would be lower. If oil sells for an average of only $40 a barrel after the maximum projected increase in each year, the maximum additional revenue including NGL/condensates would be less than $8.8 billion in 2016 and $11.3 billion in 2017 – and these figures do not take account of any increases in Iranian production and development costs. Some Iranian banks can get back on the Society for Worldwide Interbank Financial Telecommunication (SWIFT) system to conduct financial transactions electronically on the world market. Iran can access its foreign reserves held in banks worldwide. According to the U.S. Department of Treasury, Iran's Central Bank has $100 billion to $125 billion in foreign exchange assets globally, but Treasury estimates Iran's usable liquid assets to be just slightly more than $50 billion. Non-U.S. companies can invest in Iran's oil and natural gas industry, including the sale, supply, and transfer of equipment and technology. Countries within the EU and elsewhere that had ceased imports of energy from Iran can again import Iranian oil, natural gas, and petrochemical products. Countries that are already importing from Iran can increase their purchases. European protection and indemnity (P&I) clubs can provide Iranian oil tankers with insurance and reinsurance. Nonetheless, U.S. sanctions related to human rights abuses and terrorism are still in place, and some Iranian individuals and entities that were delisted under nuclear sanctions are still covered under existing sanctions. As a result, non-U.S. companies may be slow to rush back into Iran as they figure out how to resume business with Iran without violating the non-nuclear sanctions that remain in effect. Ultimately, nuclear-related sanctions relief will lead to an increase in Iran's oil production and exports …Iran's crude oil production has been relatively flat over the past three years while sanctions were in place, averaging 2.8 million barrels per day (b/d) in 2015, representing 9% of total crude oil production from the Organization of the Petroleum Exporting Countries (OPEC). In EIA's January Short-Term Energy OutlookSTEO, which assumed implementation day to occur this quarter, Iran's annual average crude oil production is forecast at 3.1 million b/d in 2016 (10% of projected total OPEC production), and almost 3.6 million b/d in 2017. The impact of lifting nuclear sanctions is equally unclear. Press reports also talk about lifting as much as $100 billion in frozen Iranian assets, and some strong opponents of the JCPOA have talked bout as much as $150 billion. The NSC and U.S. Treasury put this money under $52 billion, once existing obligations are subtracted, and note that it may take months or longer for the money to be freed, non-banks to freely deal with Iran, and the structure of Iran’s finances to stabilize. The sanctions have prompted a number of cancellations and delays of upstream projects. The United States and the European Union (EU) enacted measures at the end of 2011 and during the summer of 2012 that affected the Iranian energy sector more profoundly than any previously enacted sanctions. The sanctions impeded Iran's ability to sell oil, resulting in a near 1.0-million b/d drop in crude oil and condensate exports in 2012 compared with the previous year. Iran's oil and natural gas export revenue was $118 billion in the 2011/2012 fiscal year (ending March 20, 2012), according to the International Monetary Fund (IMF) In the 2012/2013 fiscal year, oil and natural gas export revenue dropped by 47% to $63 billion. The IMF estimates that Iran's oil and natural gas export revenue fell again in the 2013/2014 fiscal year by 10% to $56 billion. The revenue loss is attributed to the sharp decline in the volume of oil exports from 2011 to 2013. Iran's natural gas exports increased slightly over the past few years. However, Iran exports only a small volume of natural gas, because most of its production is domestically consumed. Nonetheless, international sanctions have also affected Iran's natural gas sector. Iran's natural gas sector has been expanding, but production growth has been lower than expected as a result of the lack of foreign investment and technology. However, in 2014, Iran experienced higher production growth than usual because new phases at the South Pars natural gas field came on line. While Iranian petroleum products sell at a variety of different prices, the trends in Brent Crude prices are a good illustration of the pressure recent cuts in all oil prices have put on Iran. They are illustrated in Figure Four, which shows just how sharply prices have dropped since sanctions were imposed on Iran. As Figure Three has already shown, there are sharply different estimates of how soon Iran can increase exports, it’s sustainable production capacity, and what time, investment, incentives and technology are required to increase that production capacity. The same levels of uncertainty apply to how quickly Iran can export the oil it has stored on tankers and Iranian soil since sanctions were imposed, and the prices it will receive. Nevertheless, the near term impact of the nuclear agreement and lifting of sanctions seems certain to be far lower than anyone estimated at the time the JCPOA was signed. What is far more critical in terms of the strategic impact of added production, however, is the massive cut in oil prices relative Iran’s probable oil exports levels. As Figure Two shows, Iran will not be back to its 2011-2012 production levels until the end of 2016 at the earliest and will not have add production capacity until the end of 2017. Even if oil should average as much as $60 a barrel through 2016 – which may well be a high estimate Iran’s oil and gas export revenues in 2016 will probably not exceed $60-65 billion, and could be substantially lower. At $40 a barrel, they might well be under $40 billion. If one assumes that Iran can actually export all of the 1.15 million barrels a day in increased production that EIA projects it might be able to reach at the end of 2017, petroleum export revenues would probably still be well under $72-75 billion at $60 a barrel, and under $50 billion at $40 a barrel. None of these figures account for a massive windfall for a country that will then have 83 million to 84 million people, and whose GDP will be around $1.4 trillion to $1.6 trillion. Even with sanctions lifted, the end result is still likely to be that the internal power struggle for money and over military vs. civil needs may become even more serious. The “hardliners” have a case. Iran has not come close to competing with its Arab Gulf neighbors in arms imports since the fall of the Shah in 1979. A recent CRS report indicates that the Arab GCC states imported arms worth some 24 times more than Iran could afford in 2007-2014. As a result, much of its military inventory is better suited to a museum than creating a hegemon. Its air force and ground based air defenses largely date back to the time or the Shah or Vietnam War era military technology. The “moderates” – and Iran’s people – have an even better case. Iran now has some 82 million people if one uses the CIA Factbook estimate as a base. It has a very young population and some 42% is 24 years of age or younger. A third of its population is young people depending on others for their livelihood and another 7% of its people are elderly dependents. Youth unemployment or underemployment are at levels of at least 20-25% and career opportunities are poor, and over 715,000 males and 680,000 females reach job age each year. CIA Factbook data indicate that Iran’s per capita income was under $18,000 in 2014 – before the current crash in oil prices. This is far lower than in any Arab Gulf state other than a war torn Iraq. Iraq’s GDP per capita was around $15,300, Kuwait’s was $70,700, Oman’s was $3,800, Qatar’s was $137,200, Saudi Arabia’s was $53,200, and the UAE’s was $66,300 . Iran’s income is poorly distributed, and sharply affected by corruptions and the government’s misuse of its resources. The CIA also reports that, “Iran continues to suffer from high unemployment and underemployment. Lack of job opportunities has prompted many educated Iranian youth to seek employment overseas, resulting in a significant ‘brain drain.’"
Following two years of recession, the Iranian economy recovered during the 2014 Iranian calendar year (i.e., March 2014-March 2015) as the new administration led by President Rouhani took office in July 2013 and a partial lifting of sanctions was enacted under the Joint Plan of Action (JPA). This sanctions relief included the partial removal of constraints on Iran’s oil exports, and the supply chain in key sectors of the economy—such as in the automobiles industry—and on international and domestic banks’ international transactions. The economy expanded by 3 % in 2014, on the heels of annual economic contractions of 6.6 % and 1.9 % in 2012 and 2013, respectively. As of August 2015, the official and parallel market rates were trading at 29,797 Iranian rials per U.S. dollar and 33,400 Iranian rials per U.S. dollar, respectively, thereby representing a difference of about 13%, down from roughly 190% in the second quarter of 2012 when sanctions were tightened. The inflation rate declined from a year-on-year peak of 45.1% in 2012 to 15.6% in June 2015 in line with the lifting of sanctions and the tightening of monetary policy by the Central Bank of Iran. The unemployment rate has remained stubbornly high and rose slightly in 2014. The unemployment rate reached 11.4% in 2014, up from 10.4% in 2013. The unemployment rate was much more elevated among women (20.3% for women against 8.7% for men), among the population between the ages of 15 and 29 (17.9% for men and 39% for women in this age cohort) and in urban areas (11.7% in urban areas and 7.4% in rural areas). This weak labor market performance took place within a context of a subdued and declining labor force participation rate with only 37.2% of the country’s population being economically active in 2014, down from 37.6% in2013 (62.9% for men and 11.8% for women). The incidence of underemployment has also become more prevalent, with an estimated 9.5% of workers being considered underemployed (10.3% for men and 4.8% for women). Underemployment is largely concentrated among the youth population. … In 2005, poverty was 1.45% in Iran using a poverty line of US$1.25 per day (PPP). World Bank projections estimate that only 0.7% of the population (half a million people) lived under this poverty line in 2010, although a large proportion of people are living close to it. Indeed, raising the poverty line by US$0.5 (from US$2 to US$2.50 and from US$3 to US$3.50) could put 4%-6% of the population – over 4.5 million people - in poverty. This suggests that many individuals are vulnerable to changes in their personal disposable income and to the persistent rise in the cost of living. Growth will decelerate from 3% in 2014 to 1.9% in 2015 (March 2015-March 2016) against the backdrop of low oil prices despite a projected increase in oil production by 200,000 barrels per day from 3.1 million barrels per day in 2014. If all sanctions are be lifted by the beginning of the 2016 Iranian calendar year (March-June 2016), real GDP should rise to 5.8 % and 6.7 % in 2016 and 2017, respectively, as oil production reaches 3.6 and 4.2 million barrels per day. Reforms to the business environment to promote competition, rationalize licensing and authorization requirements, reduce the imprint of State-Owned Enterprises in the economy, and improve the health of the financial and banking sector are needed to accelerate growth and private-sector led job creation. The fact is that neither outsiders nor Iran can predict its near-term economic future, or the course of action its government will take given the competing needs of the military and civil sectors. What they can predict is that the impact of the nuclear agreement on Iran’s future petroleum revenues will be far more limited than many thought when the agreement was signed, and the Iran will face serious internal pressure over how any additional revenue will be used.